The past month has been very hard and I have had to put posts on hold as I have had no time to do anything. I hated doing it but there wasn't much I could do. Everyone has something going on and at the moment I am about to start working at our brand new surgery that opens on Monday 19th March. As I am writing this post its currently two days before and it is all a bit scary and exciting at the same times as no one knows how it is all going to work out. A new surgery means finding new things of doing things and it can be challenging! I am hoping it will be good and once we get settled in everything will be okay.. things will take time becaue that is what always happens with change but its best to be positive! I can see my grandparents saying to me 'Keep Smiling Charlottie, everything will be okay' I know they'll be looking down on me as I start my shift on Monday. They'll be thinking another evening and hoping that my day goes okay because that was the kind of grandparents they were. They were loving, caring, kind and two of the best people I ever had in my life. They would give you some advice about something they had learnt when they were younger and that is what I loved about them. 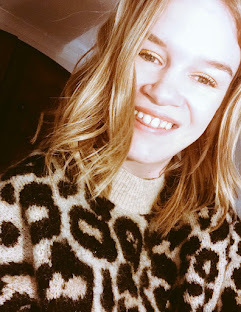 A few weeks ago I recieved the loveliest email from another vintage lover Sophie at Bamble Vintage who has an Etsy Vintage Shop and she asked me if I wanted to do a review of her blog.. I was so excited by the email I had too! What an amazing opportunity to support Sophie and her Etsy shop and something completely different for me to do. If you haven't seen my review of Bamble Vintage, make sure you go and check it out.. Bamble Vintage Etsy Shop Review. This month has a funny month because it was Mothers Day the other weekend and then two days later it was my mum's birthday. We had a good time celebrating but it was very strange as it was the first Mothers Day without my grandma. I know she was smiling down though! Alice from John Lewis Beauty in Leeds also did my gel's again and I went with a gorgeous yellow colour and I absolutely loved them!! I know they aren't to everyone's taste but I loved them and so many people really liked them. Also I ended up getting these two gorgeous rings from And Other Stories - they come as a pair but a seperate rings but I love wearing them when I'm not working.